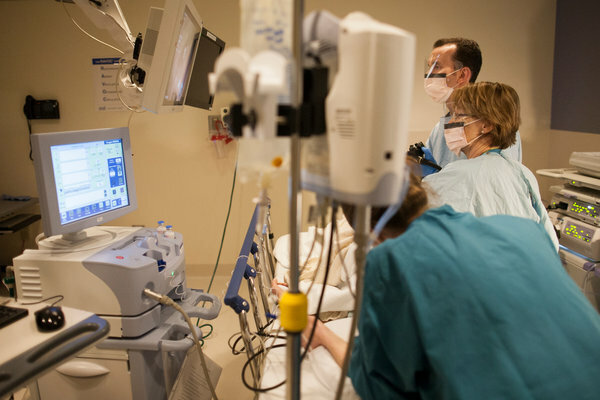 A machine that administers sedatives recently began treating patients at a Seattle hospital. 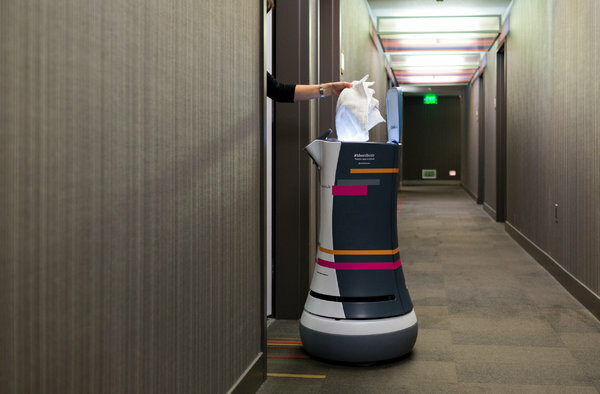 At a Silicon Valley hotel, abellhop robot delivers items to people’s rooms. Last spring, a software algorithm wrote a breaking news article about an earthquake that The Los Angeles Times published. Although fears that technology will displace jobs are at least as old as the Luddites, there are signs that this time may really be different. The technological breakthroughs of recent years – allowing machines to mimic the human mind – are enabling machines to do knowledge jobs and service jobs, in addition to factory and clerical work. And over the same 15-year period that digital technology has inserted itself into nearly every aspect of life, the job market has fallen into a long malaise. Even with the economy’s recent improvement, the share of working-age adults who are working is substantially lower than a decade ago – and lower than any point in the 1990s. Mr. Brynjolfsson and other experts believe that society has a chance to meet the challenge in ways that will allow technology to be mostly a positive force. In addition to making some jobs obsolete, new technologies have also long complemented people’s skills and enabled them to be more productive – as the Internet and word processing have for office workers or robotic surgery has for surgeons. At the same time, the American work force has gained skills at a slower rate than in the past – and at a slower rate than in many other countries. Americans between the ages of 55 and 64 are among the most skilled in the world, according to a recent report from the Organization for Economic Cooperation and Development. Younger Americans are closer to average among the residents of rich countries, and below average by some measures. Self-driving vehicles are an example of the crosscurrents. They could put truck and taxi drivers out of work – or they could enable drivers to be more productive during the time they used to spend driving, which could earn them more money. But for the happier outcome to happen, the drivers would need the skills to do new types of jobs. Elsewhere, though, machines are replacing certain jobs. Telemarketers are among those most at risk, according to arecent study by Oxford University professors. They identified recreational therapists as the least endangered – and yet that judgment may prove premature. Already, Microsoft’s Kinectcan recognize a person’s movements and correct them while doing exercise or physical therapy. Other fields could follow. The inventors of facial recognition software from a University of California, San Diego, lab say it can estimate pain levels from children’s expressions and screen people for depression. Machines are even learning to taste: The Thai government in September introduced a robotthat determines whether Thai food tastes sufficiently authentic or whether it needs another squirt of fish sauce.